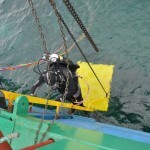 The excavation season took place between 16 April and 12 May 2012. 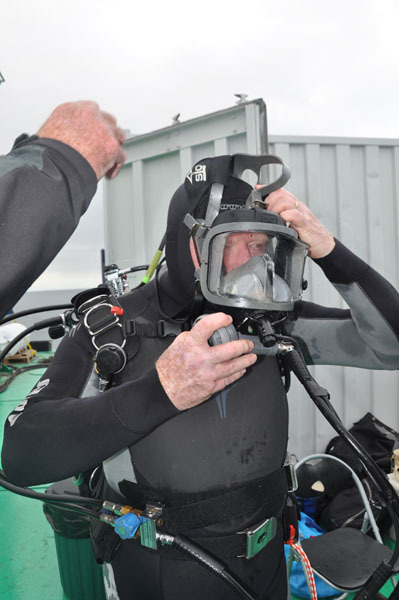 The team of more than 60 local, national and international researchers and volunteers worked on the site to survey, excavate and record the shipwreck structure, associated artefacts and local environment and undertake sediment coring and analysis. All measurements and images are stored in the Site Recorder 4 Geographic Information System (GIS) which is being used to manage and analyse the excavation data. 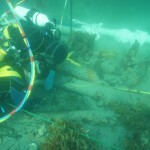 The excavation involved the rapid recovery, recording and reburial of the site and artefacts, relying on understandings of archaeological site formation models for wooden vessels in the marine environment. 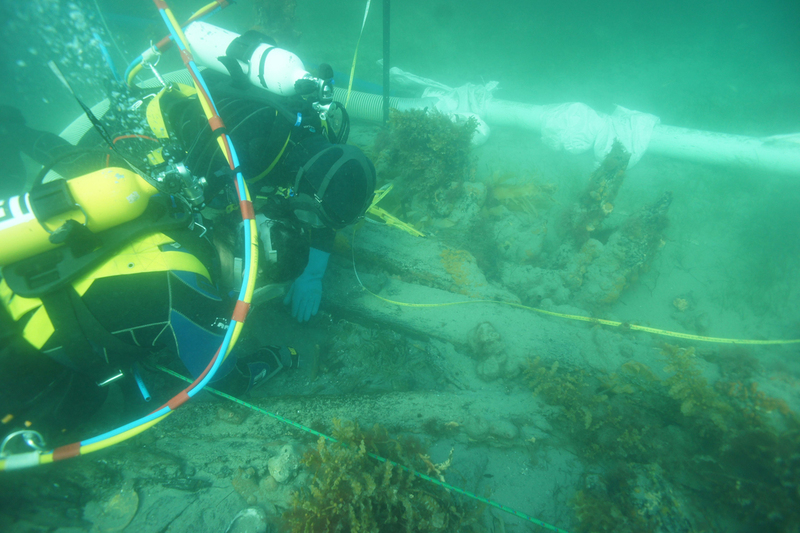 Excavation, reburial and monitoring of shipwreck sites to evaluate site formation models has not previously been undertaken over long periods of time in Australian waters. 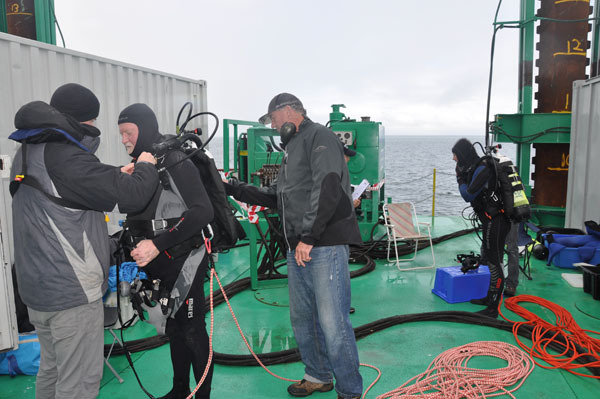 Seabed contours were mapped and artefact positions recorded in 3D in relation to each other and the ship’s structure. 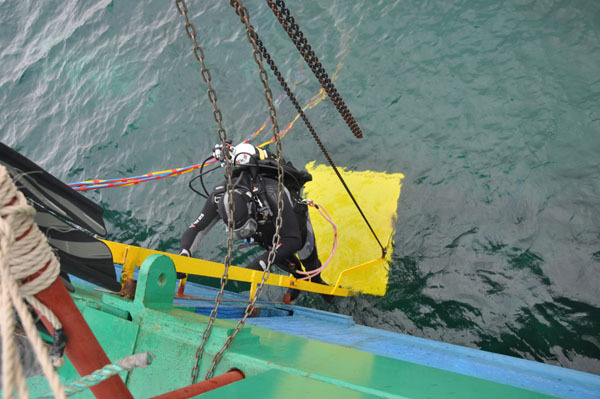 X-ray and optical imaging and the analysis of the physico-chemistry, geochemistry and microbiology of the site was undertaken during the recovery and reburial phase in Year 1 and further sampling will occur in subsequent monitoring phases in Years 2 and 3. 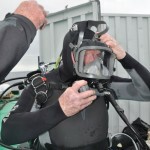 Previous excavations of the Clarence during the 1980s will allow for comparison of site data over several decades. 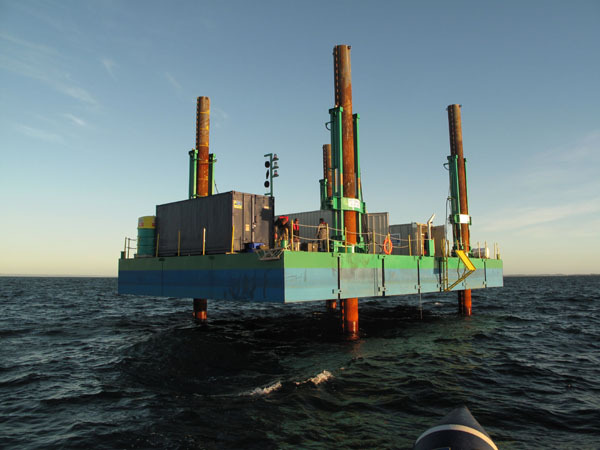 This current work will represent the beginning of long-term physico-chemical and microbiological environmental studies of the site. 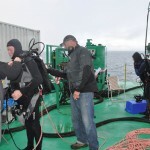 The diving, imaging components and initial data input of the fieldwork took place from a jack-up barge (JUPB1) supplied by Fitzgerald Constructions placed at the site for the duration of the program. 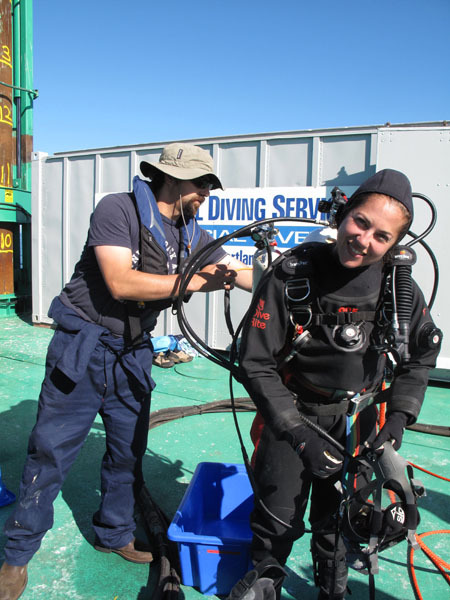 Professional Diving Services controlled the diving operations as well as using the site as a training ground for participants in its Part One Australian Diver Accreditation Scheme (ADAS) commercial diving course. 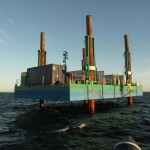 The jack-up barge JUPB1 courtesy of Fitzgerald Constructions. 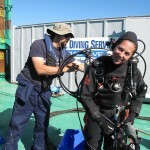 Amer Khan and Deb Shefi using tethered SCUBA diving gear courtesy of Professional Diving Services.